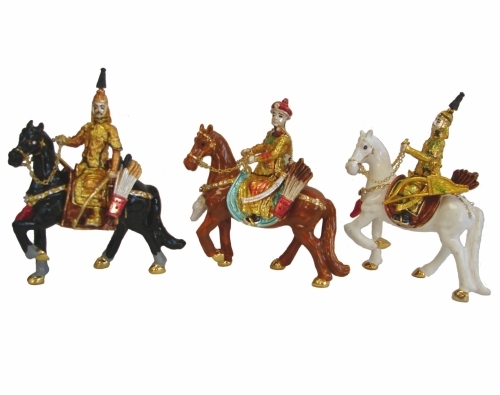 These 3 Great Emperors on Horseback feature 3 noble emperors riding triumphantly on their glorious horses. 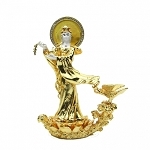 The figurines are decorated with precise details, excellent coloring, and beautiful craftsmanship. Use these 3 Great Emperors on Horseback to accumulate your windfall luck and prosperity from the heavens. These figurines will attract meaningful relationships, and attract mentor and benefactor luck. 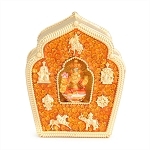 Place the figurines in the Southwest or Northwest sector of your home or room. You may also place these three emperors on your office or work desk to attract bountiful opportunities and success. The dimension of each emperor is approx. 3.25" x 1.5" x 3.5". They are made of alloy.